All Prism models are steel-string guitars that are custom voiced, one-by-one, to maximize the clarity, evenness of response, and open responsivity. 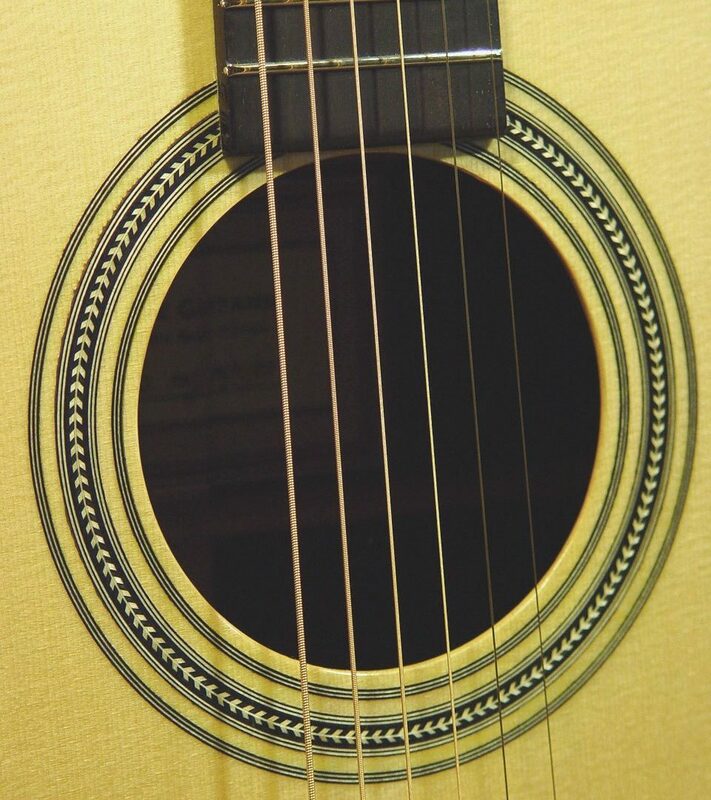 Special attention is given to optimizing these characteristics for every soundboard, regardless of the wood type. Although some models are better suited to specific styles of music, each guitar will be built with the individual player’s goals, playing styles and particular musical needs in mind. Discussions will take place before the build process begins to decide on the eventual purpose of the instrument, be it for bluegrass, jazz, fingerstyle, blues, or for general purpose. In other words, all models can be manipulated by wood choice and voicing to enhance the frequency of response, overall projection and directionality for specific applications, or voiced for more multi-purpose use. Models are all right-handed, but may be ordered left handed if desired. Since each guitar is custom modified based on the individual guitarist’s desires and playing styles, it is best to contact me and tell me what exactly you are looking for in an instrument. We can discuss some of the key issues that help guide the building of an instrument that matches you (or the person that you are purchasing it for).